Last year I read Patti Smith’s “Just Kids” and I’m currently getting into Cheryl Strayed’s “Wild”. Non-fiction literature has been pretty awesome at exposing readers to powerful female voices lately, with so many women opening up about their experiences. 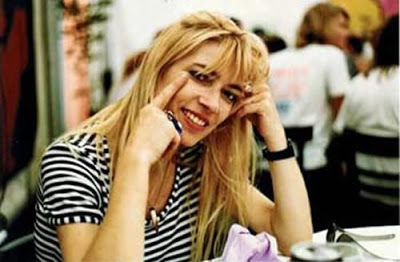 I couldn’t have been more excited when I recently heard Kim Gordon’s interview on NPR about her new memoir, “GIrl in a Band”. As someone who was learning to play the bass throughout my teens, I mimicked men in terms of my attitude, clothing and hobbies. Most musicians were male, and it felt like the only way to be part of that scene. I tried to skateboard, wore unflattering punk shirts and adopted an almost “macho” persona, which I mistook for confidence. 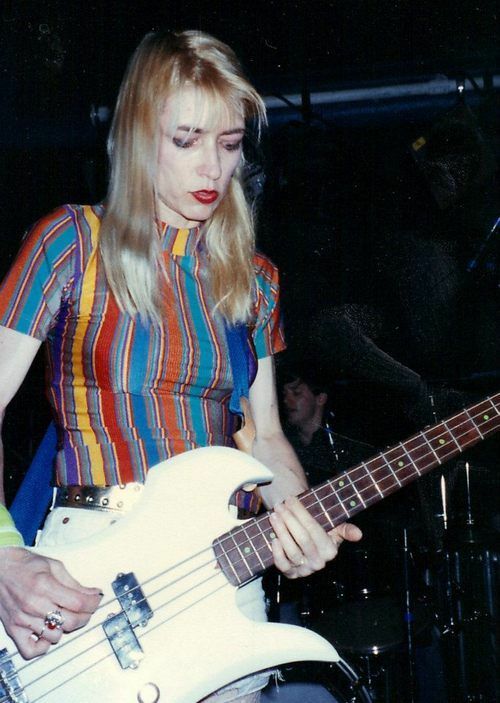 Kim Gordon made me realize a very important thing as a young woman: You don’t have to pretend to be a guy to be in a band. You can still be you. Seeing her twirl on stage while playing bass in vintage dresses quickly turned her into a role model and style icon of mine. I can’t wait to read her memoir and get to know her. From interviews I’ve seen or read, she never sounds like she’s trying to be anyone but herself. I just wish my teenage self could have learned that a little sooner. With current band mate Bill Nace. Via Paste Magazine. Playing bass in vintage. Photo credit: unknown.